General Dynamics Land Systems-Australia is the last contender to confirm its bid for the LAND 400 Phase 3 program, offering the AJAX family of armoured vehicles. 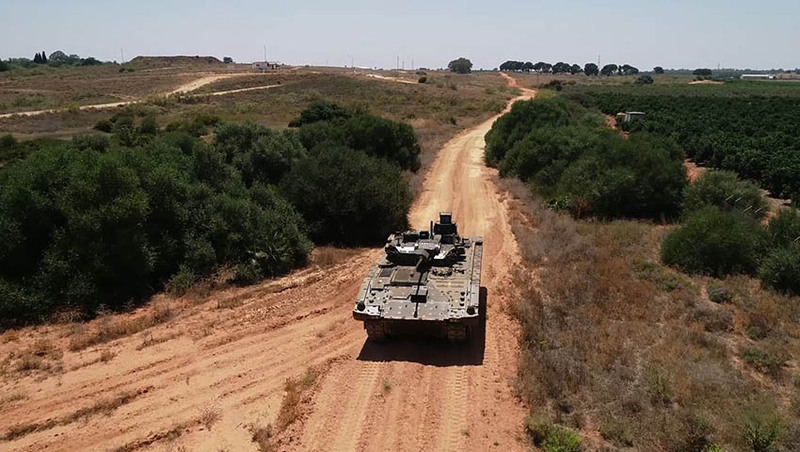 The AJAX family is recognised worldwide as the very latest generation family of armoured fighting vehicles (AFVs), a fully-digital platform that can be readily adapted to meet the LAND 400 Phase 3 Mounted Close Combat Capability requirement, including the infantry fighting vehicle (IFV). This AJAX IFV will incorporate, among other leading technologies, a modern General Dynamics Land Systems-designed 30mm turret. Kevin Connell, vice president and general manager of General Dynamics Land Systems–Australia and the Indo-Pacific, said, "AJAX will allow the Australian Defence Force to see first, decide first and act first. Its proven protection levels, mobility and lethality will keep soldiers safe and allow them to do their job effectively." The Commonwealth of Australia can leverage the UK’s significant nine-year investment in AJAX, including extensive testing that has demonstrated that the platform offers proven levels of protection, mobility and lethality, along with a wealth of high-fidelity training assets that are available now. The first of 589 AJAX vehicles was delivered to the British Army in February 2019. General Dynamics Land Systems–Australia is actively engaging with Australian industry to develop an innovative, sustainable and sovereign on-shore supply chain to maximise the amount of work undertaken in Australia for LAND 400 Phase 3. "With the first AJAX vehicles already delivered to the British Army, the Commonwealth can have high-confidence in our ability to deliver to meet their timelines, whilst we maximise the role for Australian industry to ensure a sovereign tracked AFV manufacturing capability in Australia for years to come. We will reveal more details on our LAND 400 Phase 3 solution over the coming months," Mr Connell said. General Dynamics Land Systems is a global defence company that delivers innovative wheeled and tracked platform solutions, systems integration services, upgrades, fleet management, through-life support, maintenance, repair and overhaul worldwide. The company specialises in working with its customers through both commercial and government-to-government arrangements to provide efficient and effective capability contributing to the security of Australia through the ASLAV and M1 Abrams Tank programs. General Dynamics Land Systems–Australia maintains local technical capability and expertise with global reach-back. This capability enables a systems approach to all its projects to ensure that equipment capability and growth is fully considered through its life cycle, and brings multinational customer combat experience to bear on product solutions. LAND 400 Phase 3 is a $10-15 billion Army program that will recapitalise Army’s Vietnam-era M113 armoured personnel carrier (APC) force, with a combination of a tracked IFV and tracked APC. The broader LAND 400 project will deliver enhanced levels of survivability to the Joint Land Force, including sensors, weapons and information systems that will be networked to strategic intelligence platforms.